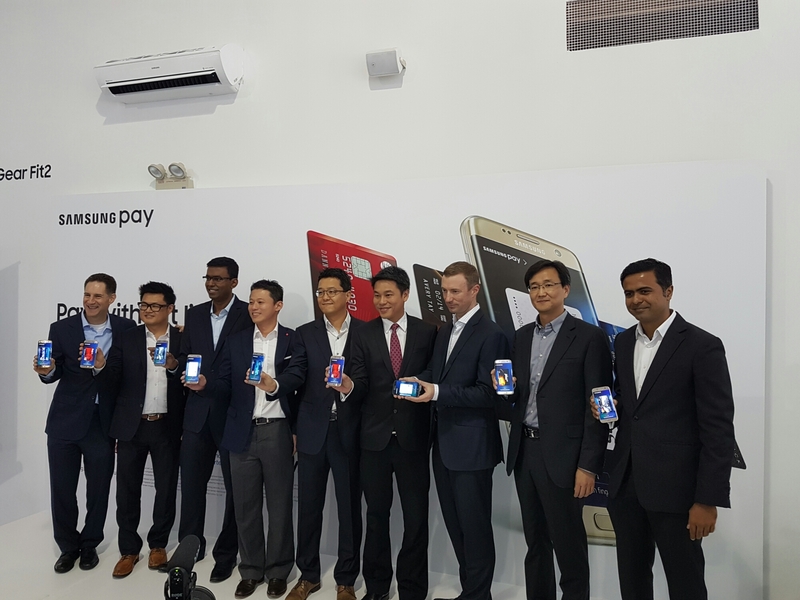 Samsung Pay will be available in Singapore from 16 June, with three key tenets of simple, secure and almost anywhere. Samsung Pay functionality is currently supported by the Galaxy Note 5, Galaxy S6 edge+, Galaxy S6 active, Galaxy S7 and Galaxy S7 edge. Notably missing are the Samsung Galaxy S6 and S6 edge. 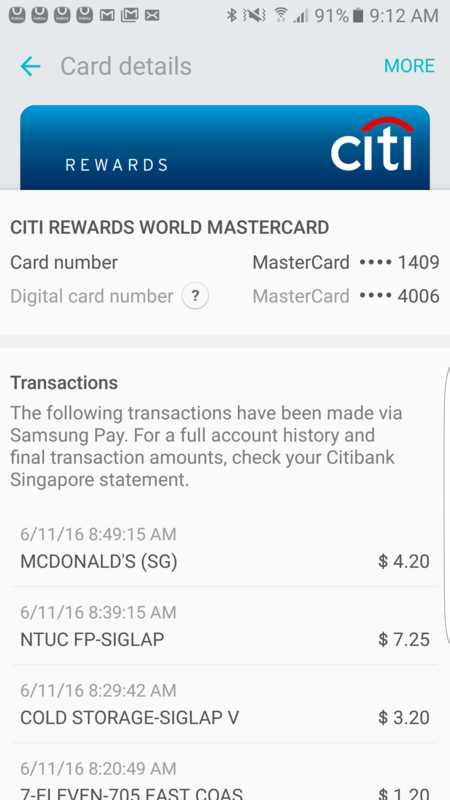 I have been using Samsung Pay for the last two weeks as part of the BETA test program. It has been great. Just this morning, I grabbed my copy of Straits Times at 7 Eleven before grocery shopping at Cold Storage and Fairprice. Next stop was breakfast. I stopped by Kilinney Kopitiam @ Siglap but they didnt look like they accepted credit card so it was McDonald’s instead. It’s not just about using the phone to pay, it’s about the convenience of cashless payment, the ability to track my expenditure, and not needing to bring out an additional wallet / card. I didn’t realise I had not brought out my wallet and that’s a testament to the reliability of the system. To use Samsung Pay, you don’t even have to wake up your device. At any time after you’ve registered your credit or debit cards, just swipe up from the home button, scan your fingerprint or enter your PIN and then hold your device near the card reader to pay. It works with both NFC and standard magnetic terminals. It works even without data access. In addition, this allows it to bypass the $100 limit on NFC transactions. As mobile payment becomes more popular, the hackers, the black hats are definitely going to target it. Security should never be compromised as losing your mobile phone could have significant consequences. At least for now, Samsung seems to be off on the right foot. Backed by their Knox platfotm which is “accredited” by the US Govt, as well as their token approach and the use of intermediary card number means your data is not exposed. OCBC, Citibank, DBS, POSB and Standard Chartered cards are supported, but I had issues adding my Singpost Standard Chartered card. Samsung Pay is continually expanding its partnership ecosystem and American Express support is comimg soon. 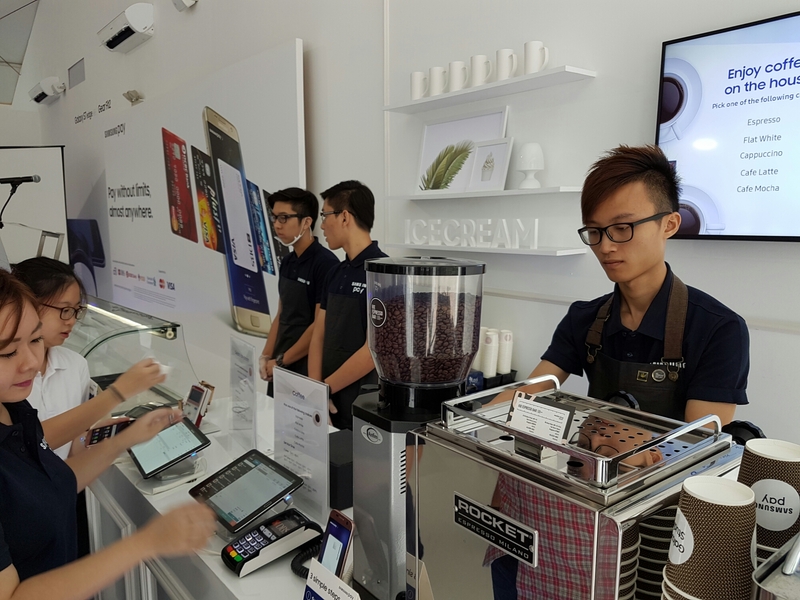 In other markets, Samsung Pay can be used to store your loyalty cards too.